Many of our patients come to us because they need an implanted device. There are several types of cardiac implanted devices, but they can be broadly divided into two categories: pacemakers and defibrillators. Pacemakers are used to keep the heart from going too slowly. Defibrillators are used to protect against sudden death from a cardiac arrest (ventricular fibrillation and ventricular tachycardia). Defibrillators (also known as ICDs) also have pacemakers built in. Some ICDs and pacemakers have special pacemaker systems used to help a weak heart beat more effectively. These pacemakers and defibrillators are called biventricular devices. We have extensive experience in prescribing, implanting, managing and programming all types of implanted cardiac rhythm devices including defibrillators, pacemakers, and biventricular devices for patients with congestive heart failure. We were the first in the region to implant the new leadless pacemaker and we are pioneers in establishing a multidisciplinary laser lead extraction program. At Arrhythmia Consultants of Connecticut, we take patient safety very seriously. Hospitals are rated by an independent organization based upon certain criteria. Hospitals are rated according to how well they protect their patients from errors, injuries, accidents, and infections. While many hospitals are good at keeping their patients safe, some hospitals aren't. As many as 440,000 people die every year from preventable errors in hospitals. We firmly believe that patient safety is our number one priority. 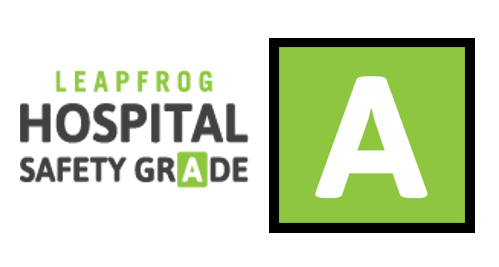 We are proud to be affiliated with St. Francis Hospital which is one of the few hospitals in Connecticut to achieve an A rating for safety according to the Leapfrog Hospital Safety Grade. In our own electrophysiology laboratory, we have instituted several practices and protocols designed to increase patient safety. All of our physicians are board-certified electrophysiologists. Our electrophysiology labs are designed to reduce the risk of infections. Prior to every case, a safety huddle is performed by the physicians, nurses and technologists involved in the case in order to review information relevant to safely proceeding. Finally, a "time out for safety" is performed just before starting a case. We are committed not only to providing you with the most advanced cardiac arrhythmia care possible but also with the safest care possible in order to achieve the best outcome. Dr. Berns has been a leader in this region since 1988. He developed the electrophysiology programs at St. Francis Hospital, Hartford Hospital and Connecticut Children's Medical Center. He is a founding partner of Arrhythmia Consultants of Connecticut. 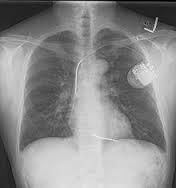 Dr. Lippman has advised area hospitals on quality control for its pacemaker programs. He is currently the Director of EP services for St. Francis Hospital and has led the development of one of the premier lead extraction programs in the country. Dr. Tolat is experienced in radiofrequency ablation and cardiac device implantation. He has published on performing cardiac device implants on anticoagulated patients and has experience performing all EP procedures without the need to discontinue anticoagulation. Dr. Dell'Orfano has been with ACC since 2001 and is the only Electrophysiologist in the region performing complex ablations, including atrial fibrillation ablations, without the need for fluoroscopy and without exposing the patients or staff to harmful X-rays.